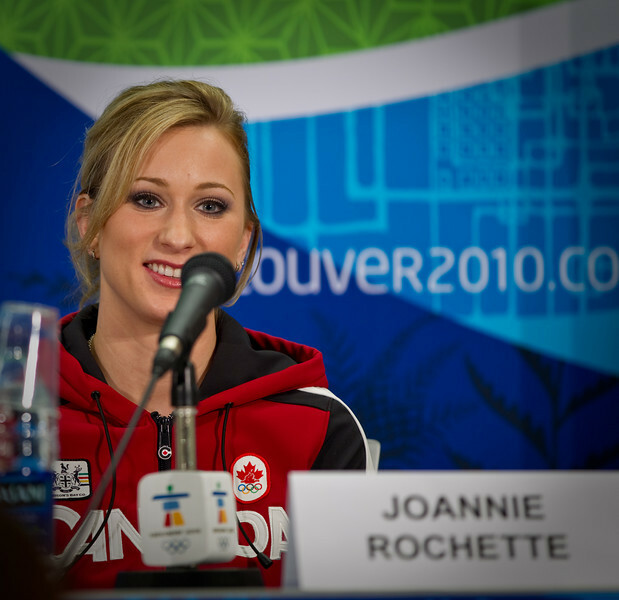 I had the pleasure of photographing Joannie Rochette at a press conference recently. The courage she showed on the ice tonight in light of her mothers sudden death 2 days ago was amazing. Join me in routing for her to take home a medal after such a tragic loss! This woman is amazing. I doubt most of us could put on shoes, let alone go out and skate at a world class level after such a loss.